Team HRC riders bounced back, after the misfortunes of yesterday, with a fierce attack on day two of the Atacama Rally, the fifth race of the FIM Cross-Country Rallies World Championship. Paulo Gonçalves took victory on the day. 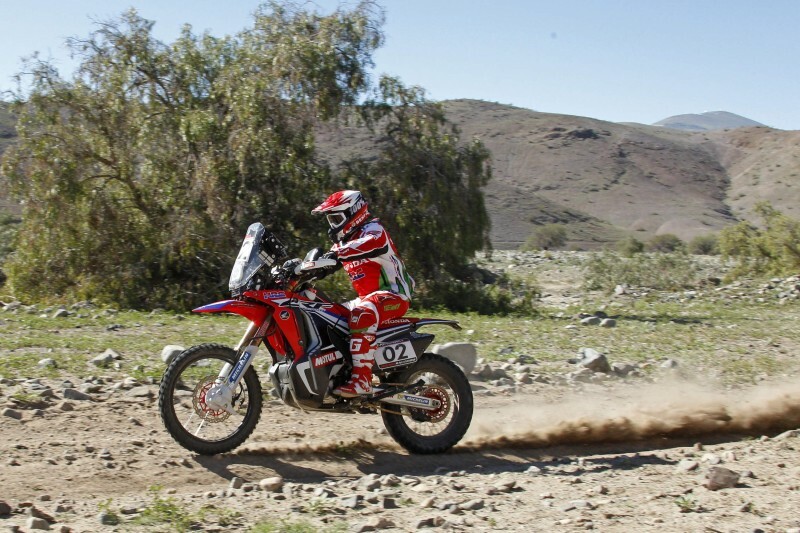 After an unfavourable start to the Atacama Rally yesterday, Team HRC went on the offensive in both parts of today’s stage. The first leg played out over some 90 kilometres of fast track through a dried-up riverbed requiring very nifty navigational skills. After refuelling there were 120 kilometres of full throttle down dusty paths that called for far less navigation. 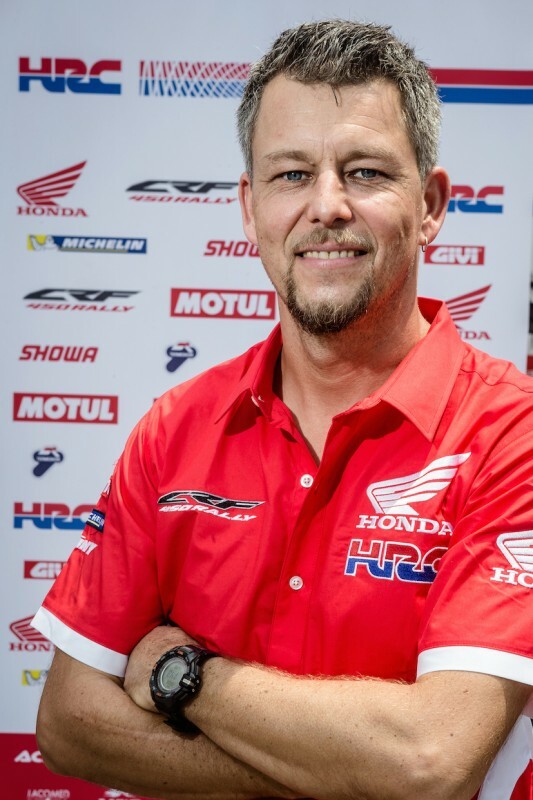 It was Team HRC’s Paulo Goncalves who had notched up the day’s quickest time as the riders made it to the finish-line. Paulo put on a fine display of riding prowess in spite of having to navigate in the midst of the cloud of dust churned up by the riders ahead. By the end, the rider had muscled his Honda CRF450 RALLY into first position. Paulo climbs several places to eleventh on the overall scoreboard. Jeremías Israel set off looking to make up for lost time. This proved to be his undoing in the first part of the day given the difficulty of finding some of the hard-to-reach waypoints at top speed. 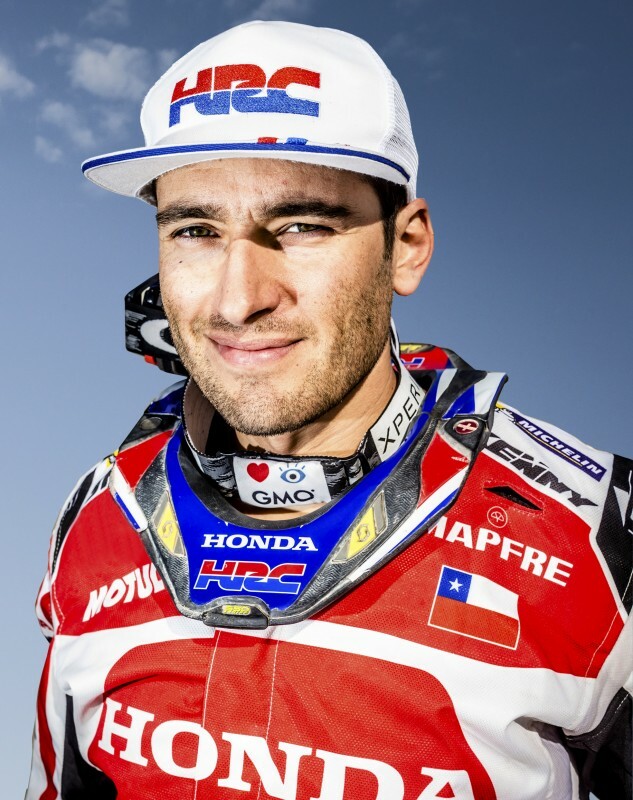 By race end Team HRC’s Chilean rider had finished in eighth, 17’22 behind his winning team-mate. Tomorrow, the third stage of the rally will be disputed in the Atacama loop. The route starts and finishes at the bivouac and will include 236 kilometres of timed special. After the little problem yesterday, things went much better. I started out from behind. There were dry riverbeds with a lot of dangers caused by the rains. I had all the other riders ahead and it was pretty dangerous, mainly because of the quads. The dust stopped me from going too quick due to all the dangers. I tried to race at my own rhythm. We were thinking positively and took it as it came. Everything worked out well without a problem. I will keep trying hard in the three remaining days and I will do my best with the navigation, the pace and the stamina. Today started up with a stage in a very long dried-out river where I had a few navigation problems. The second part was over a part that, supposedly, we were to expect ‘fesh-fesh’, but it had changed a lot because the desert was all in flower! The change was incredible. I was able to go a bit better even though there was a lot of dust and made it to the finish-line without any problems. Now it’s time to get everything ready for tomorrow. 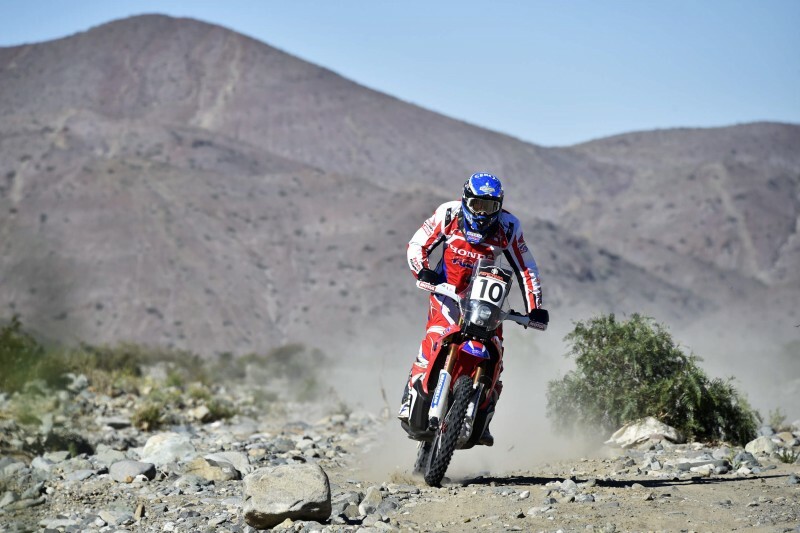 Today was the first real desert stage of the Atacama Rally and a deserved win for Paulo after his mishap yesterday. He made a clean victory and showed his class in this terrain. The team is happy and everything was working fine today. Jeremias also arrived well, losing a bit of time, but for tomorrow and the Copiapó sand loop, he has a very good starting position. 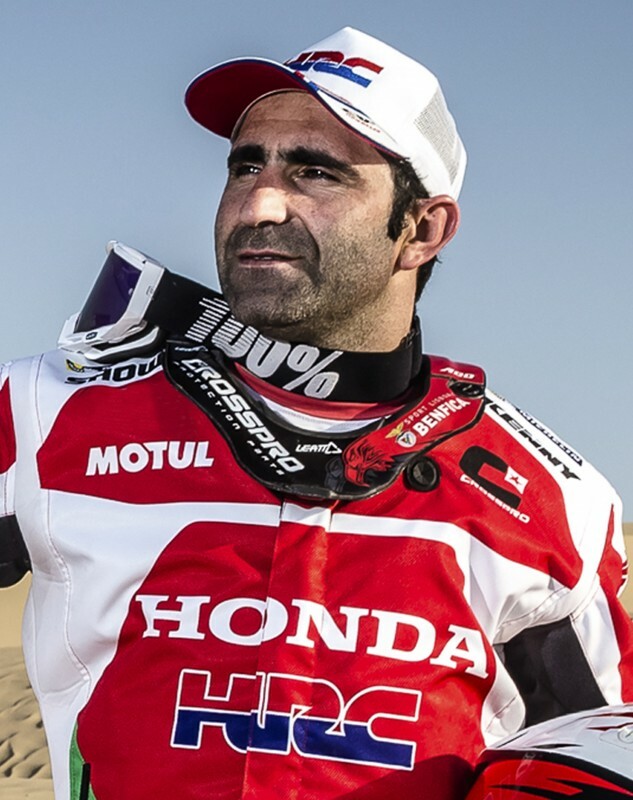 Paulo will open tomorrow after his victory, which is not an advantage, but it will be a good experience going out first into the dunes, which is what we want - to gain experience and strengthen the riders ahead of the Dakar.